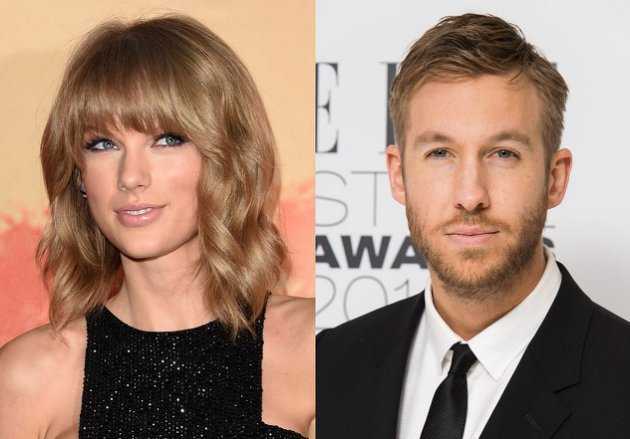 Calvin Harris was seen standing up for Taylor Swift in her Twitter feud with Avril Lavigne on the back of some comparisons made between the ‘meet and greet’ styles of the two women singers. Some fans, however, are claiming that the singer-songwriter-DJ’s tweets were faked. According to the Mirror, The ‘Bad Blood’ singer and the ‘Complicated’ crooner have been involved in a twitter fight from the time Taylor Swift liked a Tumblr post that featured a collage of her fan meetings, beside those of other celebrities’ fan meetings like Kanye West, Katy Perry, Lavigne and Britney Spears. The post was captioned with ‘This is most celebs with fans… and this is Taylor Swift’ taken reportedly as a nasty dig on Lavigne who is seen posing awkwardly with one of her fans. Twitter user @UnitedforAvril picked out this post on Tumblr and twittered it with a caption, ‘Taylor Swift liked a post comparing her M&G with @AvrilLavigne’s M&G,’ creating a viral flutter between the two celebrity-singers. Avril Lavigne twittered with a ‘wise’ retort, which said that comparing is like judging, which does not reflect the character of the person who is being judged, but rather the character of the person who is making the judgmental statements. The ‘Hello Kitty’ singer also told her fans to remain positive and do everything for love. In response to the M&G twitter feud, Taylor Swift’s beau, DJ Calvin Harris posted a message on Lavigne’s Twitter message, claimed E!News. Harris, reportedly, is said to have tweetted that Swift is not judgmental at all and that the singer was only trying to have fun with her fans. The DJ supposedly added another comment, which said that Swift was not comparing herself with Avril Lavigne in the Tumblr post. Swift’s beau’s tweets have been all reportedly deleted immediately after. Now, however, E!News is reporting that many of Harris fans are claiming his Twitter message was doctored and photoshopped and that the original post was never published. Since the DJ-singer is yet to come out in public regarding the matter, it is unclear if the reported news is true or not.